Serve over large ice cube. Cover with gold food paint/colouring. 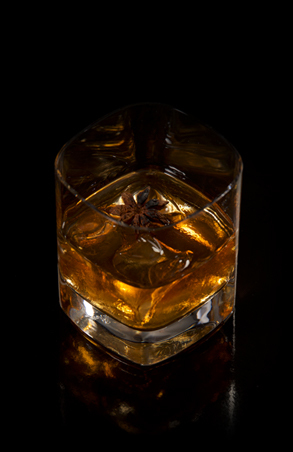 Garnish with flamed star anise.